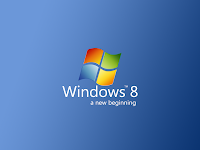 Microsoft expect to release its new updated operating system with a huge extra and new features in Windows 8 in 2012.This Operating System will be a biggest change for Microsoft after Windows 95.It will be based on new online services ,touch supported devices ,i Pad & new Smartphones with Android supported. Windows 8 will run both with Intel & ARM chip .Microsoft makes it by thinking new technologies based on Intel Processor & maximum mobile devices running on ARM chip.Application store should be included in Windows 8 where you will got Office 365, SkyDrive & also Office 365 supported applications. USB 3.0 is a new feature which will be available in Windows 8. 1 Respones to "Windows 8 Is coming 2011 See First Look"